Kate and I are proud to announce today . . . 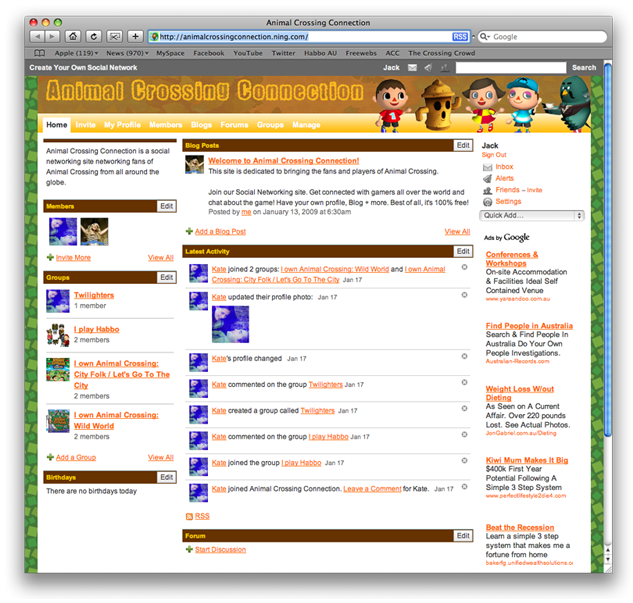 Animal Crossing Connection is a social networking site, networking fans of Animal Crossing from all around the globe. Kate and I have been working around the clock to get this site up and running and are heavily advertising it around the web. But you guys can make history and be the first members of Animal Crossing Connection. We are super excited! Join our Social Networking site. Get connected with gamers all over the world and chat about the game! Have your own profile, Blog + more. Join Groups based on your personal taste or create your own. Best of all, it's 100% free! Click Here, join today and start the fun!